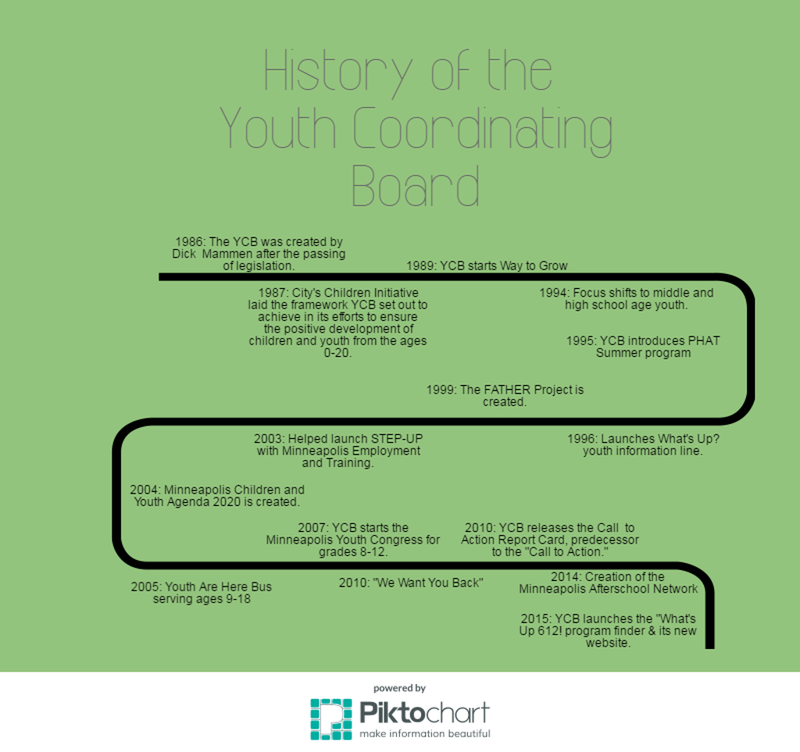 Since enactment by state legislation in 1985 the Minneapolis Youth Coordinating Board (YCB) has been leading a movement to actively and strategically engage the collaborative efforts of the City of Minneapolis, Hennepin County, Minneapolis Public Schools, Minneapolis Park & Recreation Board, community organizations and leaders, young people and the general public in realizing our collective vision for Minneapolis children and young people. Our Vision: Minneapolis is a richly diverse city where every child is cherished, every talent nurtured, and every voice respected; where no child or youth is hungry, homeless, hurting or afraid; where children, youth and families are celebrated and supported; where youth and adults treasure what they offer to one another; and where young people grow to enrich their community now and into the future. Our Mission: To champion the health, safety, education and development of Minneapolis’ children and young people through collective action and policy alignment.